Jawahar navodaya vidyalaya Admission 2017-18 Jawahar Navodaya Vidyalaya Admission Form 2018-2019 for Class VI (6th) Available Shortly. Navodaya Vidaylaya Class 6th Admission Form 2018. Apply Online JNVST (Jawahar Navodaya Vidyalaya Selection Test) 2018-19 on the official website. (JNVS) are a system of alternate schools for gifted students in India. They are run by Jawahar navodaya vidyalaya Admission Samiti, New Delhi, an autonomous organization under the Department of School Education and Literacy, Ministry of Human Resource Development, Government of India. JNVs are fully residential and co-educational schools affiliated to Central Board of Secondary Education (CBSE), New Delhi, with classes from VI to XII standard. JNVs are specifically tasked with finding talented children in rural areas of India and providing them with an education equivalent to the best residential school system, without regard to their family’s socio-economic condition. 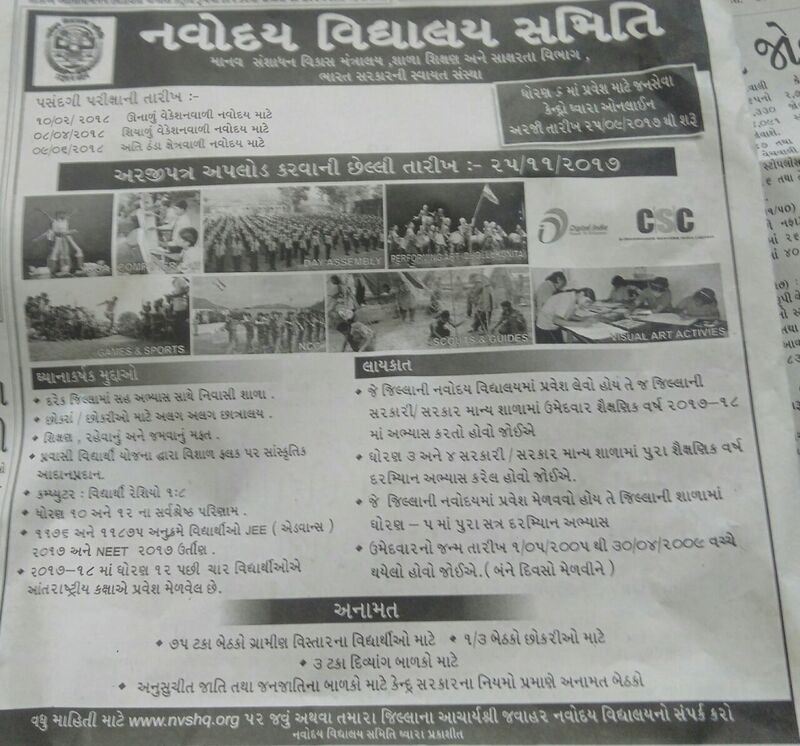 Jawahar navodaya vidyalaya Admission nvshq.org. Jawahar Navodaya Vidyalaya Admission Notice for Class 6th JNV Selection Test 2018 to be released shortly by Navodaya Vidyalaya Samiti for Session 2018-2019. At present in India are total 598 Schools (approx). Student’s admission in Navodaya Vidyalaya will be through Jawahar Navodaya Vidyalaya Selection Test (JNVST) at Class VI. Navodaya Vidyalaya is the one of the best schools in India.